World-famous landmarks in Venice include the Rialto Bridge, San Marco Square and the Grand Canal. Other popular attractions are the Bridge of Sighs, Porta Magna and the Zattere Promenade. 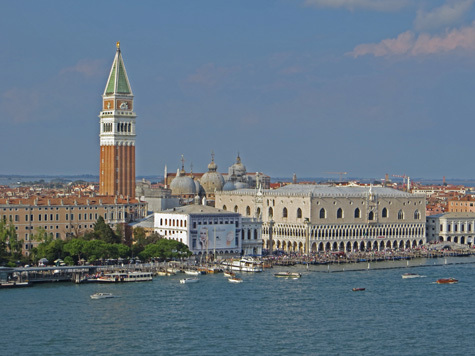 The top museums in Venice are the Accademia Museum, Guggenheim and San Marco Museum. Consider focusing on a maximum of two districts of Venice per day. The San Marco and Rialto districts should be among them. Remember that Venice is comprised of 122 islands! Venice has two airports (Marco Polo Airport and Treviso Airport), two train stations (Santa Lucia and Venezia Mestre) and a large fleet of vaporetti (motorized waterbuses).